It's been a little while since I've done an outfit post, and Christmas is quickly creeping upon us! I can't believe it's actually a week today. Insane. I'm so excited though! I have all my presents wrapped (hooray! ), finish work tomorrow and then I get to spend the days coming up to Christmas with my boyfriend, so I'm very excited! I'm planning on doing lots of relaxing, watching Christmas films, baking Christmas treats and of course, eating lots of Christmas grub! 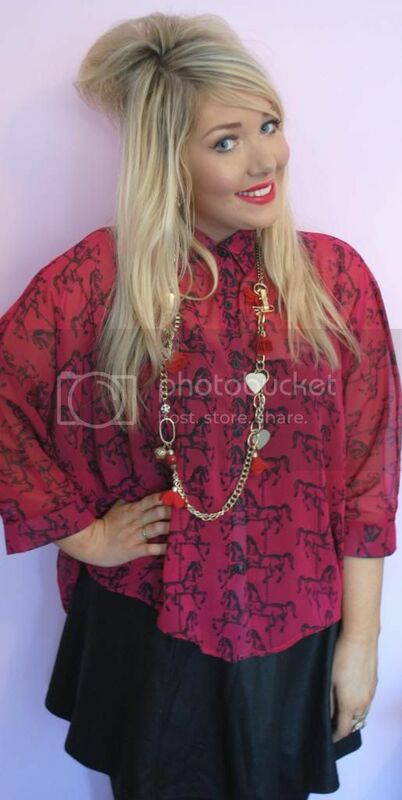 I decided to get into the festive spirit and wear this gorgeous Santa-red Carousel Shirt from Oh My Love. It's so beautiful - I'd seen a few bloggers wearing it lately and when I was contacted by Oh My Love to review something I couldn't resist it! 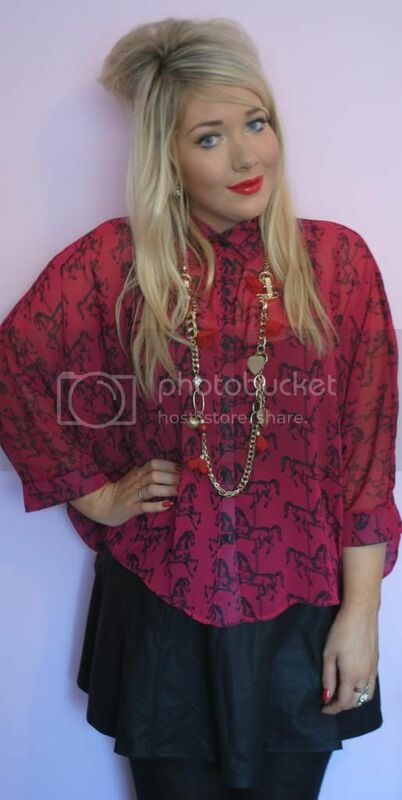 It's one size, a big batwing fit and looks great loose with disco pants or tucked in to skirts. 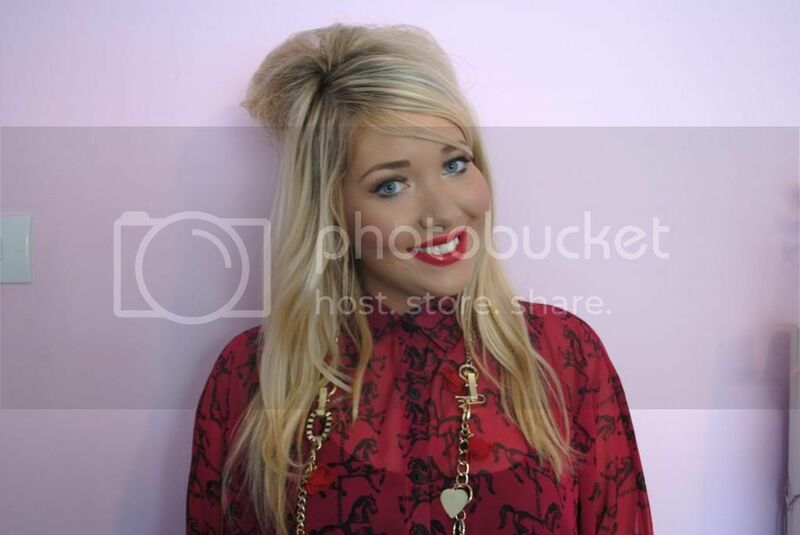 I love wearing it buttoned all the way up with my Disney 'Fairest of them All' necklace resting underneath the collar, but on this occasion I decided to pair it with a long gold chain necklace from River Island. This shirt also looks really cute underneath black jumpers - mhm cosy! I'm in love with loads of things on Oh My Love lately, and there are a few bargains to be had! They do the playsuit version of this shirt and it's currently in the sale for £15 - I love it so much but it looks to be sold out, boo hiss boo! I've also got my eye on this velvet beauty I spied on the 'New In' section - so gorgeous and festive. Have you bought anything from Oh My Love before? Looking forward to Christmas?